At 10:30 PM on September 13th, 2011, I landed at Heathrow Airport where I was greeted by the chilly London weather. There was a driver from Kingston University waiting for me and three other students. Everyone in the van made casual conversations about where they were from and what they would be studying. I did not know a single soul in London, it was my first time there and I was super excited. The entire trip to my halls of residence, I could not believe how tiny the roads were and how tiny the cars were. It was such a huge difference from the big SUVs and mid-sized sedans that I’m accustomed to in New York. I was the last one to be dropped off at my new home and campus, Kingston Hill. The guy from the reception helped me with my two gigantic bags that were way overweight for my petite self. I was the first person to arrive in my hall that I would be sharing with four other people. At least the only thing we’d be sharing was the kitchen. During my 18 months in London, I absolutely hated the dreary weather coupled by endless shadows of clouds and tasteless British food. 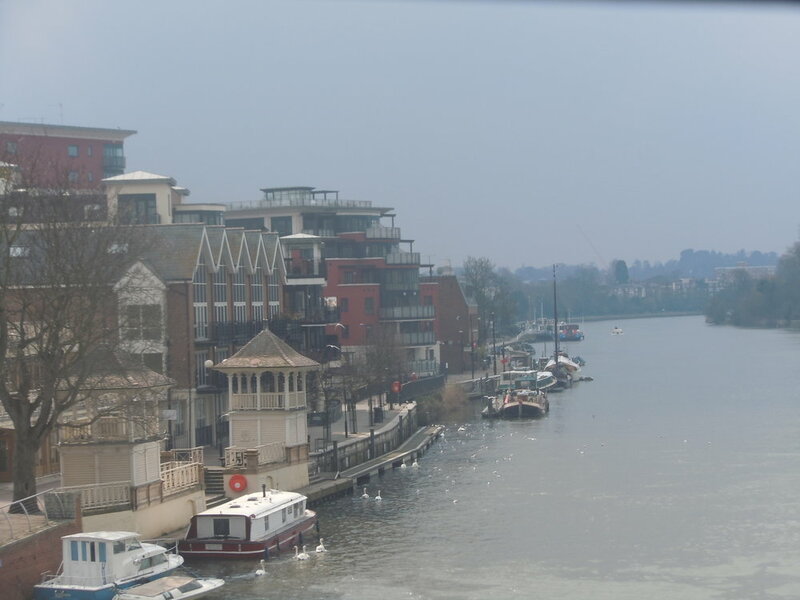 Besides all that, there was one thing about London that I fell in love with and that is the vibrant small town of Kingston where kings have been crowned and celebrities have lived and performed. On any given day, Kingston Town Center is swarmed with people buzzing by each other heading to stores, restaurants, movies, clubs, etc. You would be surprised to find anything you need in this small but super busy town center that is the heart of Kingston. One can enjoy an array of stores and entertainment on Eden Walk Shopping Centre, Clarence Street and The Bentall Centre. If one is interested in antiques and quality vintage items, these can be found on Old London Road where several dealers specialize in these things. The latest luxury and high street fashion can be purchased from stores such as River Island, T.K. Max, John Lewis, Marks & Spencer’s, Lipsy, Topshop,Monsoon, Next, H&M, Zara and Primark (super affordable). There are as many eateries/restaurants as there are stores in the Kingston Town Center. One can find restaurants overlooking the gorgeous Thames river that offer Italian, Mexican, and American cuisines. The Thames River was definitely one of my favorite hang- out spots in Kingston. On a warm day, you can find people cruising their boats, biking on the boardwalk or dining outside the restaurants, sipping on wine/beer. There's always a place to eat on every corner in Kingston such as (La Tasca, Woody’s, Nandos, etc) and plenty of pubs (The Ram, Bishop Out of Residence, the King’s Tun and the Druid’s Head). Another place to look for is the the Kingston's Market Place. This is a place where you can find outdoor entertainment such as music concerts, dances, carnivals, parades, etc. It is also a place where vendors sell fresh fruits and produce and also showcase foods from different continents. The most popular supermarkets for groceries are Asda, Sainsbury's Tesco, Waitrose and Lidl. If you are interested in theatre, there’s the Rose Theater and Arthur Cotterell Theatre that provide a selection of comedy, classic and modern productions throughout the year. When it comes to nightlife, Kingston is one of the major destination for party goers mainly due to the large young adult population from Kingston University’s main four campuses. It boasts of a variety of nightclubs such as Oceana, Essence, Hippodrome, Barcadia, McClusky’s, etc. Kingston also hosts a variety of celebrities that usually perform at these clubs. A few of the prominent landmarks in Kingston include the place where Saxon kings used to be crowned very close to the Market Place. There’s also the tipping red box telephone boxes that lean on each other. I had a chance to visit the touristic areas such as Buckingham Palace, The London Eye, Trafalgar Square, London Bridge, etc. (saved for another post) but nothing beats the warm, fuzzy feeling I got when roaming the streets of this small town that had become my home. It was here that strangers became my family and together we lived and shared birthdays, holidays, endless dinners, late nights in the library, stresses of exams and so much more. The best thing that ever happened to me in London was sharing moments with the amazing people that I had a chance to meet.